Born to Persian parents at the height of the Islamic Revolution and raised amid a vibrant, loving, and gossipy Iranian diaspora in the American heartland, Melody Moezzi was bound for a bipolar life. At 18, she began battling a severe physical illness, and her community stepped up, filling her hospital rooms with roses, lilies and hyacinths. But when she attempted suicide and was diagnosed with bipolar disorder, there were no flowers. Despite several stays in psychiatric hospitals, bombarded with tranquilizers, mood-stabilizers, and anti-psychotics, she was encouraged to keep her illness a secret—by both her family and an increasingly callous and indifferent medical establishment. 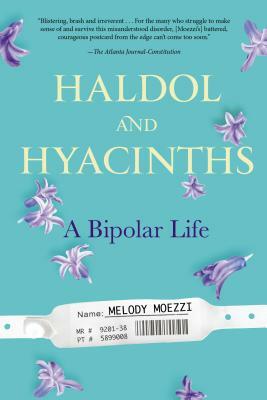 Refusing to be ashamed or silenced, Moezzi became an outspoken advocate, determined to fight the stigma surrounding mental illness and reclaim her life along the way. Both an irreverent memoir and a rousing call to action, Haldol and Hyacinths is the moving story of a woman who refused to become a victim. Moezzi reports from the frontlines of an invisible world, as seen through a unique and fascinating cultural lens. A powerful, funny, and moving narrative, Haldol and Hyacinths is a tribute to the healing power of hope and humor. Melody Moezzi is an Iranian-American Muslim activist, attorney, writer, and award-winning author. She lives in Raleigh, North Carolina. "An excellent read, no matter what your level of familiarity (or lack thereof) with mental illness." "At times moving, unsettling, and funny, Moezzi's brash, barely filtered memoir is a fascinating glimpse into a tumultuous mind."